First things first. I live in the cities portion of Minnesota. Its 12 degrees fahrenheit right now, was snowing yesterday, and probably will be today as well. That's no surprise, as its winter. But what I find IS a surprise, is my coworker found this beauty crawling around in my works warehouse today. 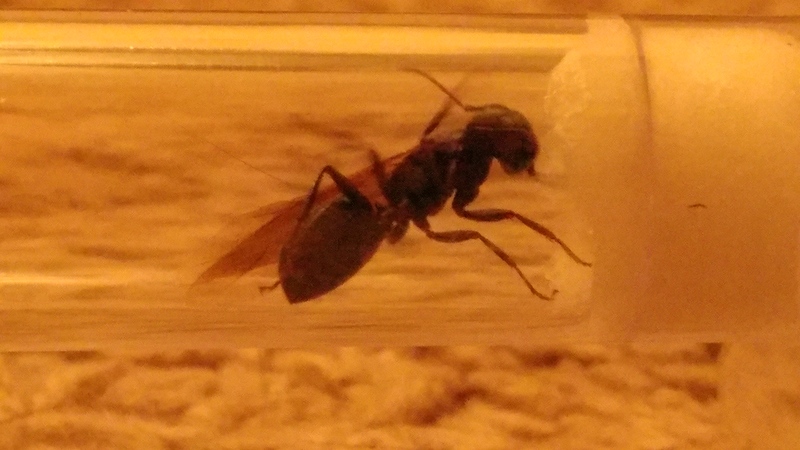 Now I'm new to ant keeping, I was honestly just looking to start my first colony this year; so my experience/eye is untrained. 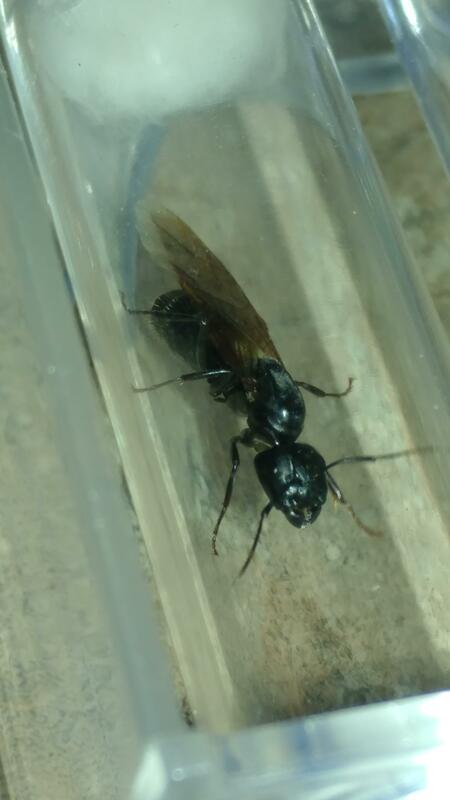 But would I be correct to call this a Camponotus queen? Granted, im guessing that chances she has mated (if she really is a she) are slim to none. 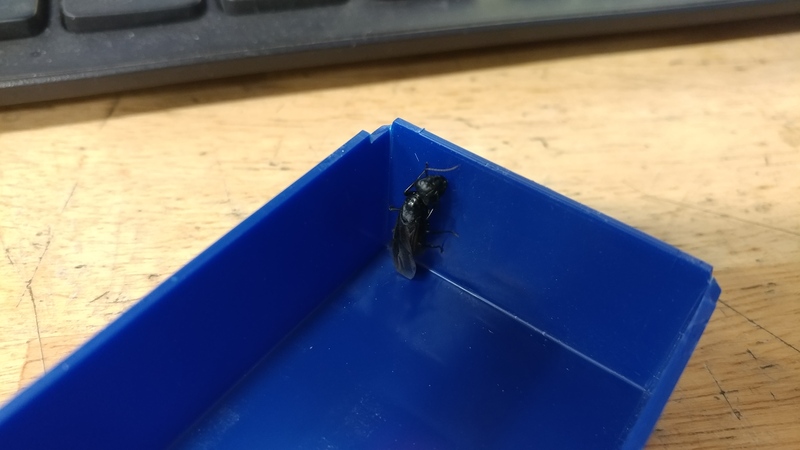 As its winter, shes still got wings, and by my guess she came from a colony in our warehouse, or came in on a pallet from another warehose. But aside all that I'd still like to get an ID. I'm also going to testtube her till spring in any case. Don't want to let her freeze in the snow or get crushed in our warehouse. 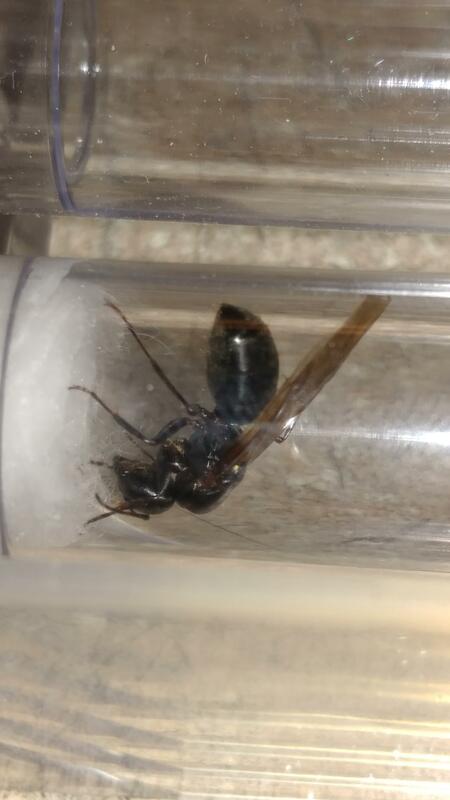 Hope the pics are sufficient for proper ID. And anyone have any ideas why she was active in a cold warehouse, or where she came from?